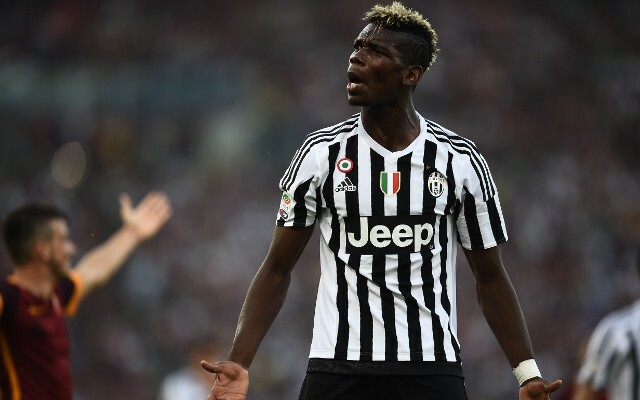 Juventus and France midfielder Paul Pogba has reportedly told his close friends that he wants to return to Manchester United this summer. The 23-year-old is currently on international duty at Euro 2016, where he will hope to inspire the hosts to a win in the final against Portugal in Paris on Sunday night. However, his club future has continued to be a topic of discussion this week, with claims that a move to United is becoming more and more of a distinct possibility. According to L’Equipe, he has ‘clearly expressed’ a desire to return to Old Trafford, which will undoubtedly be a major blow for Juve who have seen him develop into one of Europe’s best midfielders over the last four years. As noted in the report, the suggested €80m transfer fee will ensure that the Serie A giants make a significant profit having signed Pogba on a free transfer, and that will certainly go back into the squad to cope with his loss. L’Equipe add that his agent, Mino Raiola, has been in discussions with executive vice-president Ed Woodward, and that Jose Mourinho is extremely keen on reaching a deal to take the French midfielder to Manchester this summer. Nothing is expected to happen before Sunday though, with Pogba of course focusing on helping France win Euro 2016. However, while he will likely have a holiday planned for after the tournament, it shouldn’t take long before further details emerge over whether or not a move back to United is going to happen. Mourinho has already been busy in the summer transfer market with the signings of Eric Bailly, Zlatan Ibrahimovic and Henrikh Mkhitaryan, and it seems as though he’s far from finished as he looks to bolster his squad further. It also helps that Pogba shares the same agent in Raiola with Ibrahimovic and Mkhitaryan, with the two parties now undoubtedly familiar with one another and possibly easier to deal with. Nevertheless, if a deal is completed, it would certainly be the biggest move of the summer and one that United will hope pays off having let Pogba leave for nothing just four years ago.